Your packaging supplier needs to be responsive to your needs when you need it. Our world-class customer service and engineering staff will assist you to find a custom packaging solution for your requirements. We will work with you at every step of the way, provide you with on-site support, and work with you as a partner in packaging. We offer cutting edge concept engineering, quick custom packaging quotations, and fast production processing with top notch quality. Our custom reusable packaging can last for dozens or hundreds of uses more than paper corrugated, which can save you 20% to 50% on your packaging costs. Most of our custom packaging products will collapse so you save space when the packaging is not in use. For most of our packaging products, 20 collapsed boxes = 1 assembled box. Our aggressive quoting techniques will prove savings to you for all of our returnable packaging, plastic or foam. From small totes, bins, boxes, and foam packaging (returnable and expendable), to pallet size sleeve packs and molded bulk containers, Amatech handles it all. We have the capability to build custom packaging for any size and option you need. Our returnable packaging production facilities are very flexible and can adapt to many types of processes to reduce lead times for your product orders. At Amatech, we take great pride in our packaging products and it shows in our quality. We have carefully controlled manufacturing processes that assure every container or packaging product you get from us is exactly what you expect. 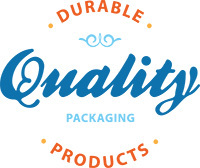 We expect all of our packaging products to be well built and durable to meet and exceed all of our customer's needs.